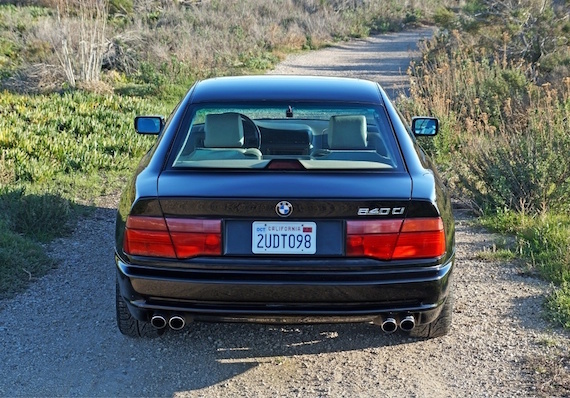 A long while back in 2011, I took a look at one of those rare BMWs from the 1990s, the 850CSi. 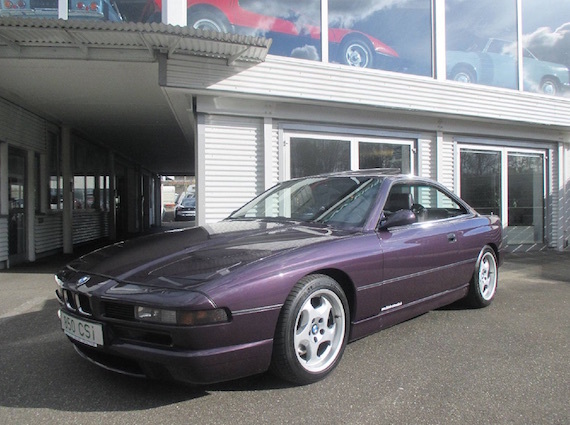 But the car I featured wasn’t any normal 850CSi, if you could even consider this super coupe “normal.” This was one of the few painted in Daytona Violet. It also had a lovely contrasting Lotus White/Violet leather interior. 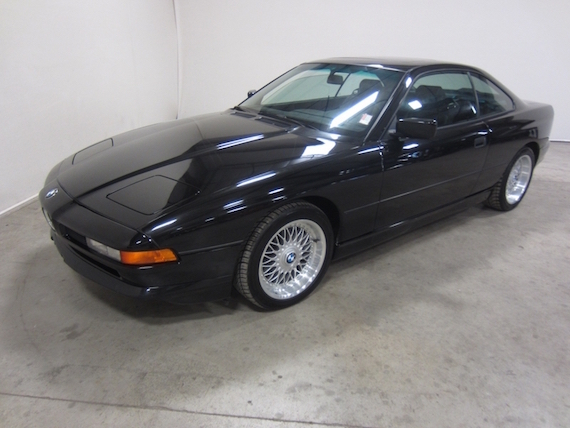 I did a double take when I saw this almost identical 850CSi for sale near Freiburg, Germany. The interior is a bit more purple than the one we saw here for sale in the US, but if you want to be bold, there are few better ways to do it than with a purple V12 powered pillarless coupe. The BMW 8 series is one of those rare instances where low production doesn’t necessarily mean high cost, discounting the 850CSi, of course. This was the second BMW to receive the V12 engine, debuting in 1990 with the option of a 5-speed automatic or 6-speed manual gearbox. It combined a wedge shape with a pillarless profile and sleek, low-rise concealed headlamps. 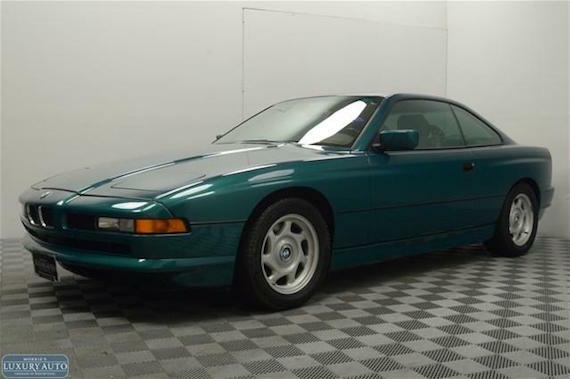 While E31s like this 850Ci for sale in Minnesota are fairly affordable when it comes to big German coupes, everyone knows you have to be committed to endure the high running costs. Someone has to save these twelve cylinder wonders, though. 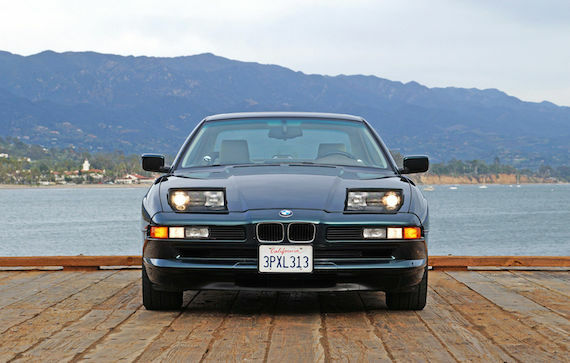 If you asked me to rattle off a list of BMW’s greats over the years, you’ll find the 850CSi at the very top. This was a bit of a flash in the pan model for BMW, with few built over a handful of years, but it was a bright flash indeed. This car sported BMW’s brawny M70 V12 engine, tuned to produce 375 horsepower. Offered solely with a 6-speed manual gearbox, this was a car that could cover ground at a serious clip, a worth match for its contemporaries, the Porsche 928GTS and Mercedes-Benz SL73 AMG. 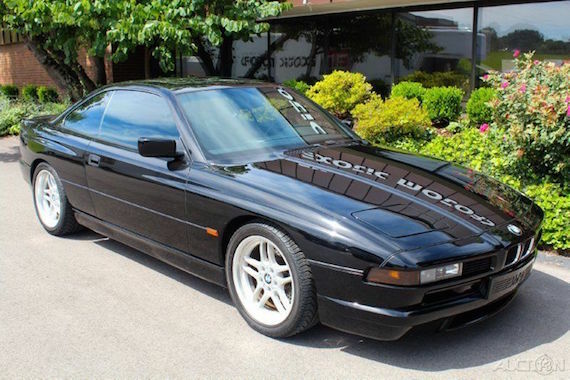 This 850CSi for sale in Missouri has just over 50,000 miles on it and allows the new owner to enter into an exclusive club of just 1,510. The mid 1990s would see two grand touring heavyweights duke it out for a few short years for the title of best long distance cruise missile. 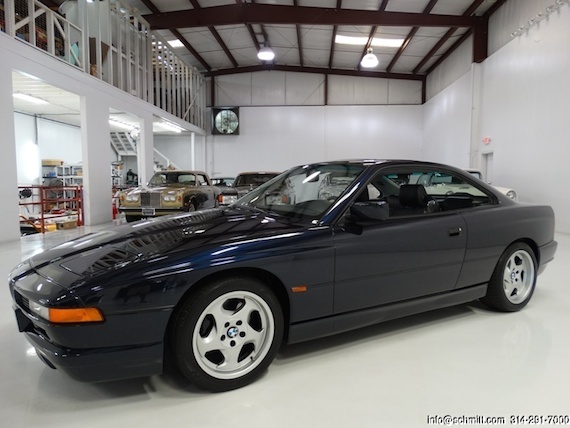 The Porsche 928GTS and this car, the BMW 850CSi. The Porsche 928 was no stranger to the scene, having been around since the late 1970s. But the 928GTS was a vastly improved machine, with a powerful 5.4 liter V8 and wide haunches that accentuated its timeless look. 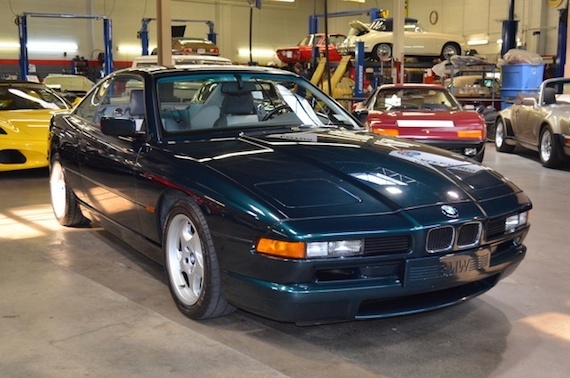 The BMW 8 series was relatively new, taking over from the E24 6 series which ceased production in 1989. 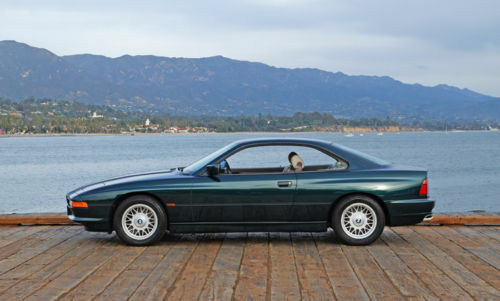 An M version of the 8 series would never make series production, but the 850CSi was a worthy substitute. With a 5.4 liter V12 engine pumping out 375 bhp, routed through a 6-speed manual gearbox, this was a serious performance machine. It was also rare, with just over 1,500 produced over a four year production run. Like the 928GTS, the 850CSi has dramatically increased in value over the last couple years, and this low mileage example for sale in Long Island is reflective of that. Though they’ve spent the last decade or so sitting unused in the back of the enthusiast dream garage, BMW’s E31 8-series has seen a resurgence in interest and appreciation recently. As the most range-topping coupe BMW’s produced, it took the shark-nose look into the techno era and stands out as an impressively clean design in the face of today’s luxury rhinoceri. This example spent its first 22 years with a single owner in California and has just crossed the 100k mark. It’s no show-stopping 850CSi, but that very fact helps it become one of the cheapest ways to get behind a V12 in the world. Well cared for and showing normal signs of age, it’s sweet example of BMW’s megacoupe that is quickly becoming collectible. 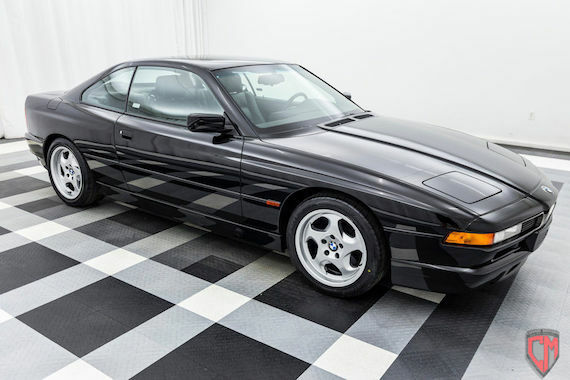 By the time the 1990s were coming to a close, the writing was on the wall for the BMW 8 series. This was never a volume seller for BMW and while it lasted until 1999 in some markets, the last year in the US market would be 1997. Available in its twilight with the 4.4 liter V8 or the 5.4 liter V12, this example, purchased by Tom Cruise for Nicole Kidman, carries the twelve cylinder lump under the hood. Under 200 850ci coupes made it stateside in its final year, making this one very special Bimmer.